Throughout your professional library reading, you will occasionally come across esoteric library technology acronyms. It’s annoying to have to stop reading to look up their meanings. To help prevent that, we present our list of more common library technology acronyms. These acronyms have been added to the Library Technology Acronyms page, a dictionary of library technology terms. AD FS – Active Directory Federation Services, a Microsoft service that allows for single sign-on (SSO). APC – Article Processing Charge, a fee charged to an author by an open access journal to publish an article. AWS – Amazon Web Services, a cloud Web services hosting platform used by several library vendors including ProQuest and Springshare. COinS – ContextObjects in Spans, bibliographic metadata added to HTML in a webpage. DNS – Domain Name System, a decentralized system for looking up domain names for conversion to IP addresses. EAD – Encoded Archival Description, an XML standard for encoding archival finding aids by the Library of Congress and Society of American Archivists. EDS – EBSCO Discovery Service, a discovery service offered by EBSCO. EPUB – Electronic Publication, a standard for ebooks and other electronic publications by the International Digital Publishing Forum. FOLIO – The Future of Libraries is Open, an open-source library services platform currently in development. III – Innovative Interfaces, Inc., a library software vendor. OAI-ORE – Open Archives Initiative Object Reuse and Exchange, standards for the description and exchange of aggregations of Web resources. OAI-PMH – Open Archives Initiative Protocol for Metadata Harvesting, a model for extracting metadata from an open repository. OCR – Optical Character Recognition, the process of converting scanned text into text-based documents for reading and indexing. OER – Open Educational Resources, freely accessible materials such at open access textbooks, articles, and educational videos. SSH – Secure Shell, usually used to refer to a remote computer login to run system commands. SSO – Single Sign-on, typically using your institution login credentials to access third-party database and websites. VIAF – Virtual International Authority File, a global file of standardized bibliographic creator names with links by OCLC. VPN – Virtual Private Network, a secure network connection that allows a remote user to access an organization’s internal network. These acronyms have been added to the Library Technology Acronyms page. AAP – Authorized Access Point, text string that names the item for a BIBFRAME Authority (bf:authorizedAccessPoint). API – Application Program Interface, “a set of routines, protocols, and tools for building applications and providing a way to interact with online services”. 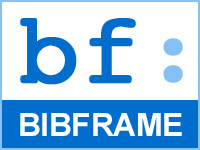 BIBFRAME – Bibliographic Framework, a new model for bibliographic description to replace MARC. DOAJ – The Directory of Open Access Journals. FAST – Faceted Application of Subject Terminology, a “faceted subject heading schema” by OCLC with the LOC, used as an authority file. FOAF – Friend of a Friend, describes people and their relationships using an RDF schema. HILCC – Hierarchical Interface to Library of Congress Classification, structured menu for LC Classification subject access on the Web. LCNAF – Library of Congress Name Authority File, “provides authoritative data for names of persons, organizations, events, places, and titles”. LOD – Linked Open Data, Linked Data which is published under an open-access license. LSP – Library Services Platform, a term for a suite of library applications which might include an ILS, ERM, and discovery service. MADS/RDF – Metadata Authority Description Schema in Resource Description Framework, a data model for authority records. MFHD – Multi-Format Holdings Data, a holdings record containing location and call number (sometimes pronounced “muffhead”). OWL – Web Ontology Language, “a Semantic Web language designed to represent rich and complex knowledge about things, groups of things, and relations between things”. RDF – Resource Description Framework, a W3C standard for describing Web data. REST – Representational State Transfer, the software architectural style of the Web. SPARQL – SPARQL Protocol and RDF Query Language, used to retrieve Web data in RDF format. URI – Uniform Resource Identifier, string of characters that points to a resource (with a URL being the most popular type). W3C – World Wide Web Consortium, “an international community that develops open standards to ensure the long-term growth of the Web”. WEMI – Work, Expression, Manifestation, Item; Group 1 entities and the foundation of the Functional Requirements for Bibliographic Records (FRBR) model. 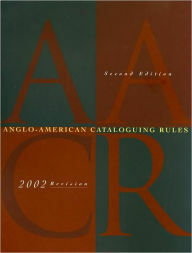 AACR2 – Anglo-American Cataloguing Rules, Second Edition, a set of cataloging rules succeeded by Resource Description and Access (RDA). COUNTER – Counting Online Usage of NeTworked Electronic Resources, standards for recording and reporting online usage statistics. CAPTCHA – Completely Automated Public Turing Test to tell Computers and Humans Apart, a test that aims to protect web forms from entry by bots. CSS – Cascading Style Sheets, a language used for describing the presentation of a web document (usually in HTML). CSV – Comma-Separated Values, data items in table record consisting of one or more fields, separated by commas. DDA – Demand Driven Acquisition, a system where an e-resource is purchased after a pre-specified number of uses trigger its purchase. Replaces Patron Driven Acquisition (PDA). DOI – Digital Object Identifier, a persistent interoperable identifier under International Organization for Standardization standard ISO 26324. DRM – Digital Rights Management, access control technologies used to restrict access to certain rights-holders. EDI – Electronic Data Interchange. ERM – Electronic Resource Management, system used to track electronic resources such as databases, ebooks, and e-journals. FRBR – Functional Requirements for Bibliographic Records, model of metadata that includes four levels of representation: work, expression, manifestation, and item. HTML – Hypertext Markup Language, a markup language for describing web documents. ISO – International Organization for Standardization, independent developer of voluntary International Standards. LDAP – Lightweight Directory Access Protocol, a method of user authentication. LITA – Library and Information Technology Association is a division of the American Library Association (ALA). LOCKSS – Lots of Copies Keep Stuff Safe, multiple electronic backup system for preserving library materials. MOOC – Massive Open Online Course, a web-based course, often with very large enrollments. OCLC – Online Computer Library Center, Inc., a nonprofit provider of library services for cataloging, discovery, and resource sharing. PDA – Patron Driven Acquisition, see DDA (Demand-Driven Acquisition). PURL – Persistent Uniform Resource Locator. RDA – Resource Description and Access, a unified cataloging standard which is replacing AACR2 and based on FRBR (see above). RDM – Research Data Management. RFID – Radio Frequency Identification Technology, the wireless use of electromagnetic fields to transfer data from tags typically affixed to print library materials. SaaS – Software as a Service. SAML – Security Assertion Markup Language, XML standard for single sign-on (SSO). SMS – Short Message Service, for sending text messages on mobile phones. SSL – Secure Sockets Layer, a security technology for establishing an encrypted connection between a webserver and a browser, succeeded by Transport Layer Security (TLS). SUSHI – Standardized Usage Statistics Harvesting Initiative. TLS – Transport Layer Security, a security technology for establishing an encrypted connection between a webserver and a browser, replacing Secure Sockets Layer (SSL). WCAG – Web Content Accessibility Guidelines. XML – eXtensible Markup Language, a language for encoding documents in both a human-readable and machine-readable text format. XSL – eXtensible Stylesheet Language, a language used to transform and render XML documents.